(2009/LITTLE BROWN) Clothbound, English, 28x24 cm, 142 pages of rare photos in b&w and color, plus comments. Great, mostly unpublished material. Elvis Highlight! 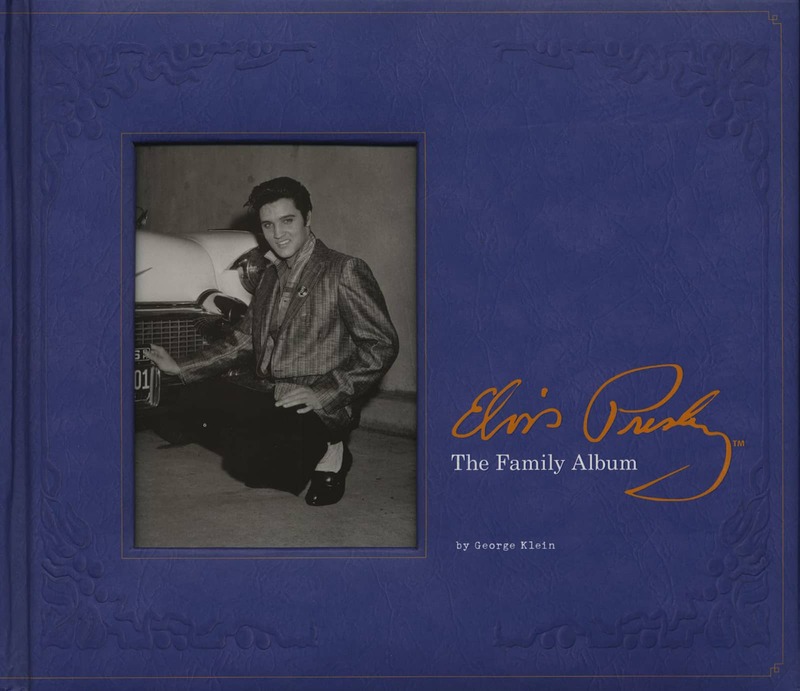 The family album you are holding chronicles the life of Elvis Presley in rare and intimate photographs, many of them never published before. Here is the King on the day he joined RCA Records, in a tense moment backstage before appearing on The Ed Sullivan Show, and flirting with Ann-Margret on the set of his debut movie, Love Me Tender. Pictures of his youth capture his life at home, at the piano with his parents, playing with the family dog, and posing with his high school prom date. 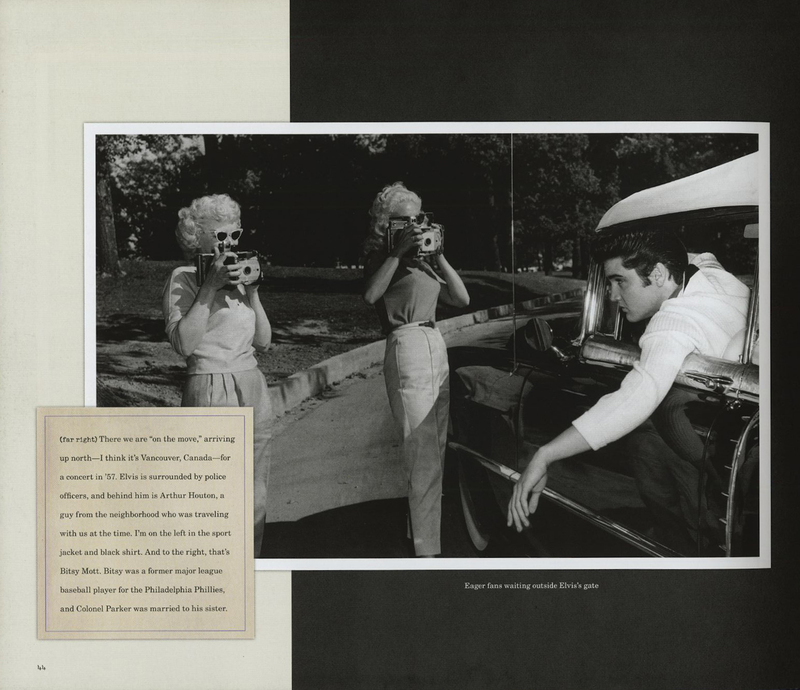 Later photographs reveal the years at Graceland, with Priscilla and their daughter, Lisa Marie And throughout are images of Elvis with famous friends and admirers, from B. B. King to Johnny Cash, Liberate to Richard Nixon. 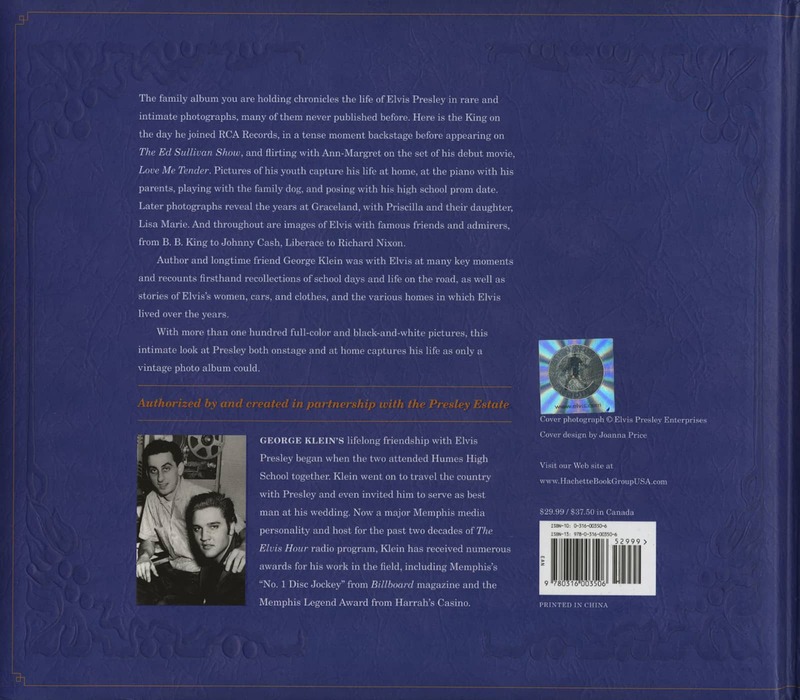 Author and longtime friend George Klein was with Elvis at many key moments and recounts firsthand recollections of school days and life on the road, as well as stories of Elvis's women, cars, and clothes, and the various homes in which Elvis lived over the years. With more than one hundred full-color and black-and-white pictures, this intimate look at Presley both onstage and at home captures his life as only a vintage photo album could. GEORGE KLEIN'S lifelong friendship with Elvis Presley began when the two attended Humes High School together. Klein went on to travel the country with Presley and even invited him to serve as best man at his wedding. Now a major Memphis media personality and host for the past two decades of The Elvis Hour radio program, Klein has received numerous awards for his work in the field, including Memphis's "No. 1 Disc Jockey" from Billboard magazine and the Memphis Legend Award from Harrah's Casino. Customer evaluation for "The Family Album - George Klein"